Paul: Hello to you all and welcome aboard the Games News Submarine! We took our Gold Club donations and decided, rather than spending them on something silly like web hosting services, we’d move our WHOLE OPERATION TO A SUBMARINE. There’s no property tax! Paul: Dive! Dive deeper to the news! 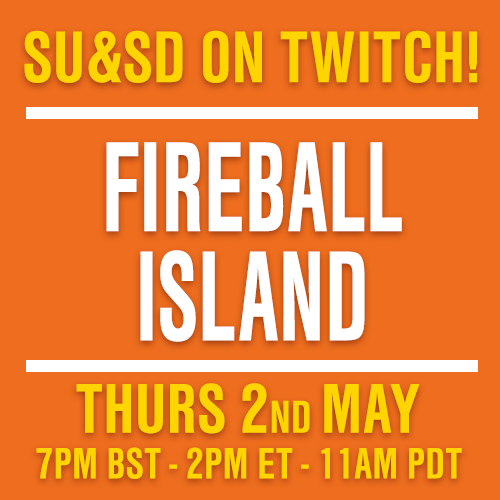 Thematically-appropriate news such as SEAFALL IS COMING. 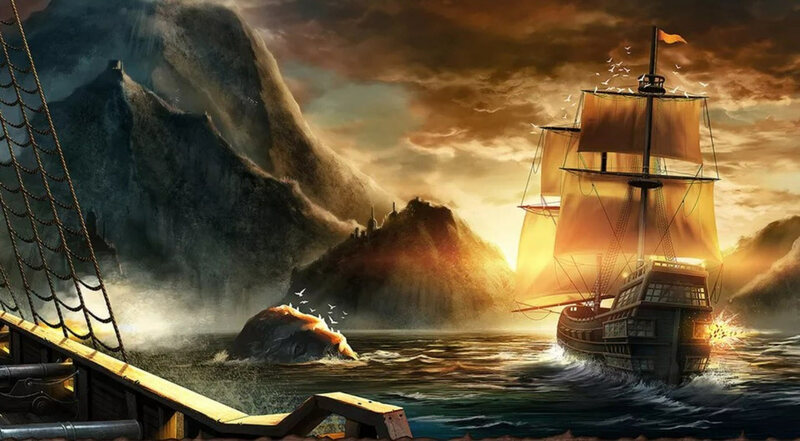 Quinns: Seafall is something of a legend in board gaming, a story whispered around camp fires and smoking cups of hot cocoa, a game undergoing development and playtesting for so long that some wondered if it was even real. In case you’re not aware, Seafall is the next of Rob Daviau’s “Legacy” games after Risk Legacy and Pandemic Legacy. But this isn’t just an adaptation of a game into the card-ripping, board-scribbling, persistent legacy format. 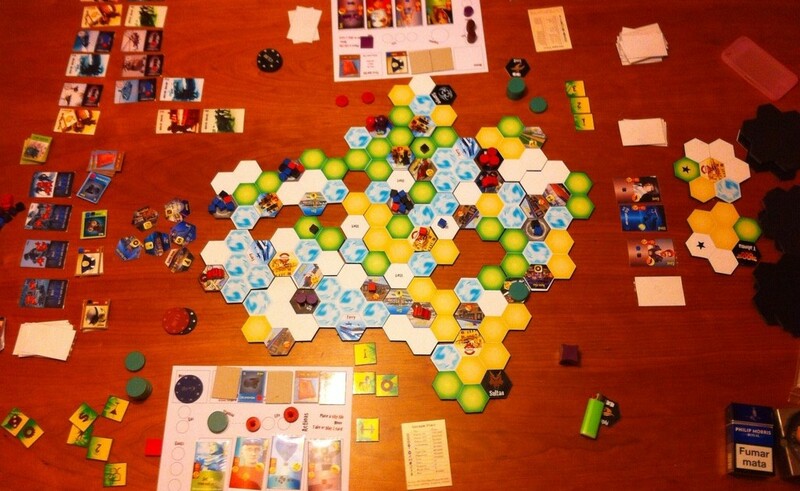 It’s the first game built from the ground up FOR the format. It’s very, very rare that we touch unfinished games, but Paul was too curious not to try an early version with Daviau at BGGCon back in 2014 and found it a fascinating game of exploration and colonisation, with your first steps into a new world changing that world, turn by turn, game by game. Paul: Even then, for an “unfinished” game, it was coherent, fascinating and big, something I was very excited to try, so the news that Rob has sent a final version off to the printers is thrilling to me. Polygon sat down for a chat with Rob recently and, bless them, revealed the “first details” of the game a year after I played it and two years after the designer started to tease pictures and information about it. They’re in America, so it must be the time difference. Quinns: Being underwater is making you SASSY and so maybe indulging in Apocalypse World will calm some of your urges. 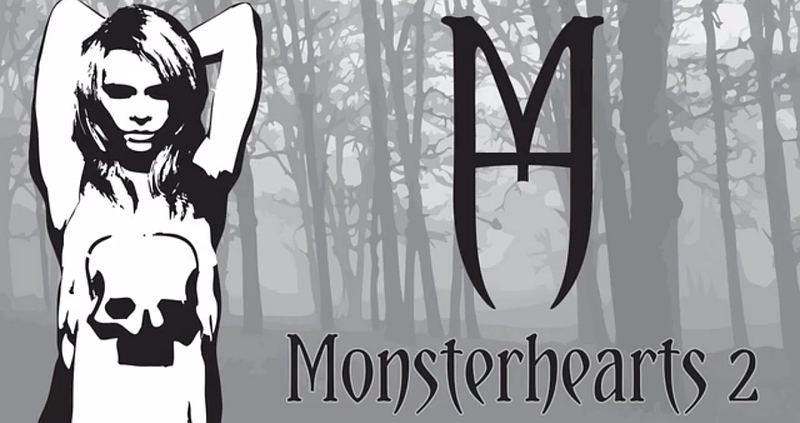 We’ve been fans of the game and its many offshoots for quite a while now (you might remember our quite romantically-charged experience ofMonsterhearts once upon a time), so we were delighted first to hear that a revised, refined second edition was on its way and, second, that the Kickstarter has already surged way past its goal. Paul: It’s a bare-bones Kickstarter, but that’s all it needs to be. Apocalypse World has already sold itself on its ideas and seen a lot of success from players who appreciate its focus on character and storytelling. I’d strongly urge you to investigate the many games it has inspired and see how many of these sonar contacts appeal. Speaking of sonar contacts, we also got a weak but very intriguing signal recently, which turned out to be a new title in GMT’s award-winning, asymmetrical “Counter Insurgency” series of wargames. Quinns: Ooh, OK. So we’ve had Vietnam, Afghanistan, Columbia and Cuba, right? Where are we going next? Paul: Apparently Pendragon: The Fall of Roman Britain has been in development for a while now, but is now much more than a distant twinkle in a designer’s eye and promises a host of historical happenings, including religious upheaval, civil wars, raids, roaming warbands and perhaps even climate change. Quinns: Ooh, look at this! 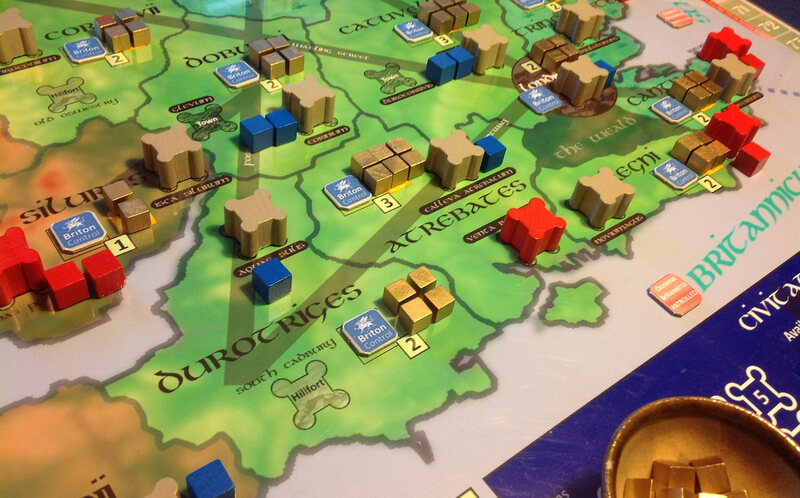 Four players will each control the Romans, the invading Saxons, the raiding Scotti and the Civitates, who are Romanised barbarians of England itself. All four of whom will be trying to have the greatest holdings when the “din of swords” fades away. Paul, do you remember the ‘90s? When I try and imagine your childhood I always remember that story you told me of you getting drunk and climbing into a wheelie bin and your friends pushing you around. So in my head you were doing that basically every week. Paul: Face forward while you’re steering! ANYWAY the top of Board Game Geek’s hotness this weekly is the freshly-announced official card game of ’90s space strategy video game Master of Orion. It’s being made by Russian publisher Hobby World, and will feature both cards andplayer boards. Be quiet! I’m picking up chatter on the radio. Paul: SHH! 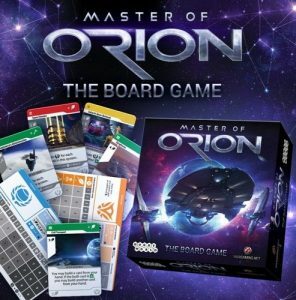 U.S. publisher Stronghold Games (of Space Cadets, Panamax and much more) has announced a strategic partnership with German publisher Eggertspiele (German for “Eggertspiele”). 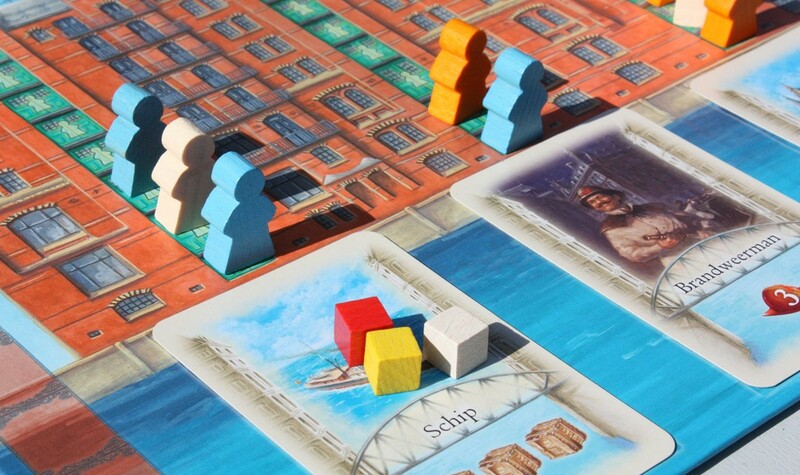 They’re going to be bringing some of Eggertspiele’s games to the rest of the world, and the big one they’ve announced is Die Speicherstadt (which is German for “The Speicherstadt”). This is a 2010 Stefan Feld game, but it’s a lot more restrained and elegant-looking than the “victory point salads” we’ve come to know him for. Cards with trade goods are placed below some warehouses and players can pop one of their three meeples into a window to make a bid for them, or they can place their meeple on a different track to make all bids below a certain threshold more expensive. Don’t want to explore the warehouses of 18th century Hamburg? Not to worry! Stronghold is retheming this game as “JORVIK”, with ancient Viking jarls bidding for feasts and soldiers, and it’s going to include The Speicherstadt’s Kaispeicher expansionright out of the box. Presumably it’s also going to retheme the original game’s rules about keeping your buildings up to fire code, too, or we’re all going to be playing some very responsible Vikings. Quinns: Oh my god! Paul! Quinns: Oh nevermind it was just a crisp on the sonar display. Recently I’ve become obsessed with watching for news of this one game- Vital Lacerda’s Escape Plan. Paul: Lacerda? 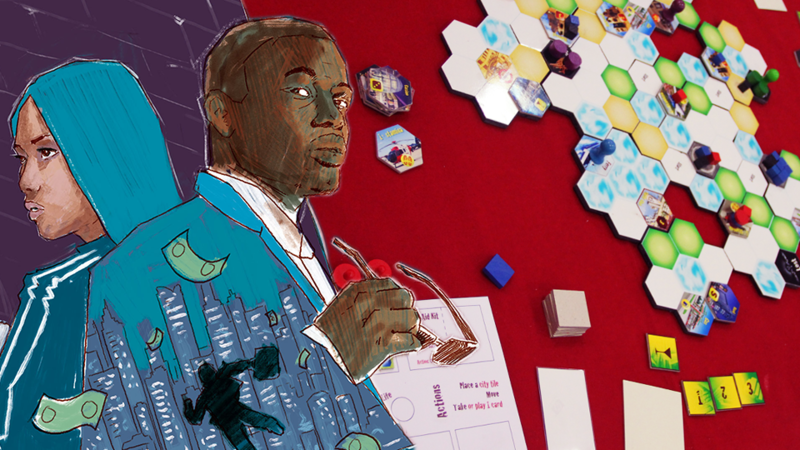 The creator of chunky, thoughtful German-style games like The Gallerist, Vinhos and CO2? Quinns: The very same! But I was browsing Board Game Geek and found he has an unpublished game where all the players are bank robbers trying to hide in the hours after the crime. Except you all hate each other, and you’re all bribing gangs and police to waylay one another. There’s bluffing, disguises, mules and snitches, too. But watch out! Because if you take too long to escape the police will close all the roads out of town. There’s nothing more exciting to me than when great designers bring all of their expertise to a whole-new genre. You’re always going to get something interesting. Paul: But it was only a crisp?